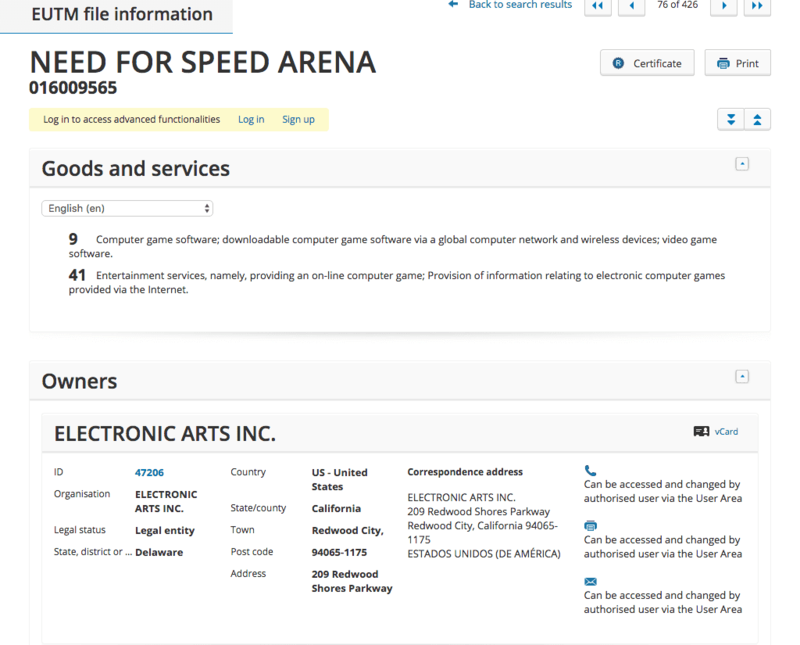 EA have filed a trademark application for “Need for Speed Arena” across the EU, based on a Korean Trademark Application (also for “Need for Speed Arena”) which was filed on 25 July 2016. 9Computer game software; downloadable computer game software via a global computer network and wireless devices; video game software. 41Entertainment services, namely, providing an on-line computer game; Provision of information relating to electronic computer games provided via the Internet.